Meet the experienced eye health care professionals at Dr. Specs Optical, proudly serving our valued Penticton clients. 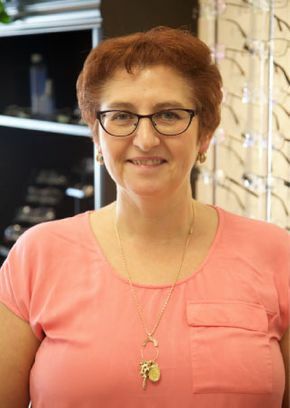 Debbie is originally from Newfoundland and has been in the optical business since 1993. 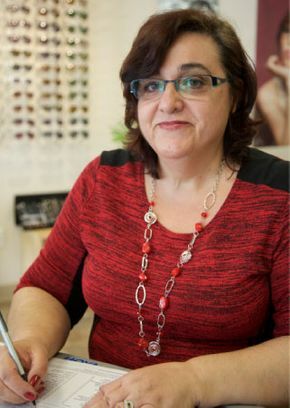 At that time she started working for Dr. Specs Optical in Kelowna, and has held many positions within the company such as admin assistant, optician, store manager, franchise coordinator, and finally director of operations. When the owner decided to retire in April 2012, Debbie decided to purchase the Penticton location. Debbie has twice been a finalist for "Community Leadership and Volunteerism" in Kelowna's Women of Distinction Awards. As well, she was an entrepreneur nominee in Penticton's 2013 Women Front & Centre Gala. 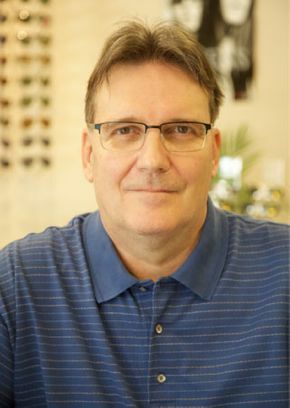 Joachim is originally from Germany and has been in the optical business since 1973. At that time he was an apprentice optometrist, and became a practicing optometrist in 1978. When Joachim immigrated to Canada he decided to practice as an optician, and ran his own optical store for 14 years. Giorgia is originally from Italy. When she immigrated to Canada she believed it was important to be a stay-at-home mom and raise her family. Giorgia and Debbie have been friends for years and when Debbie needed someone to train as a receptionist, Giorgia was the perfect choice. Giorgia is enjoying working with patients and learning about optics and vision.